Hey there! 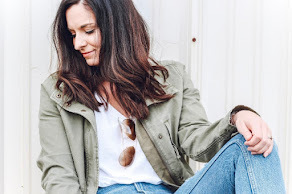 I hope your Monday treated you well and I also hope you got a chance to enter the giveaway on yesterday's post + check out the style tips I shared. You definitely do not want to miss that giveaway- winner will be announced on May 8! It would be the perfect Mother's Day gift! 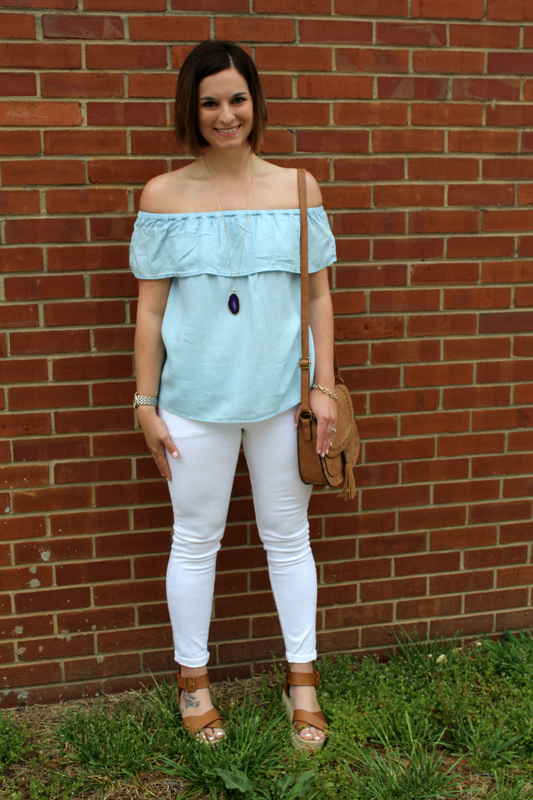 In the spirit of Mother's Day week, I'm so excited to feature R&E Avenue again because the owner is a mother of two who is making her dreams come true, one handmade item at a time. I absolutely love small businesses, especially ones that are owned my women who are pursuing their passions. 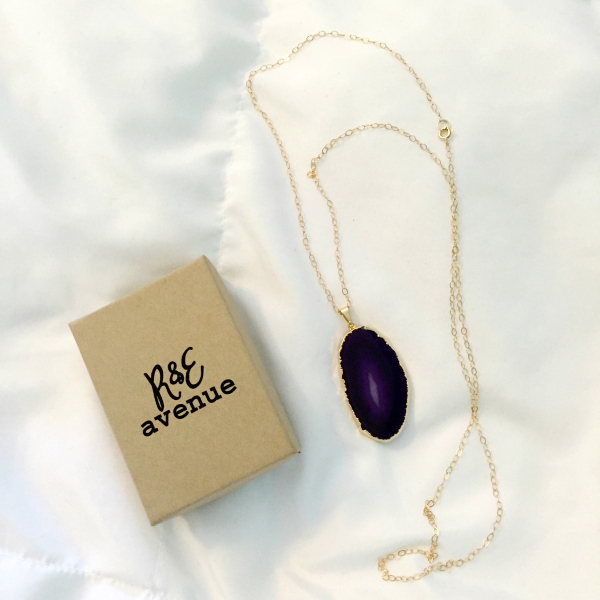 Today, I am sharing this gorgeous purple agate necklace she sent me to style for y'all! 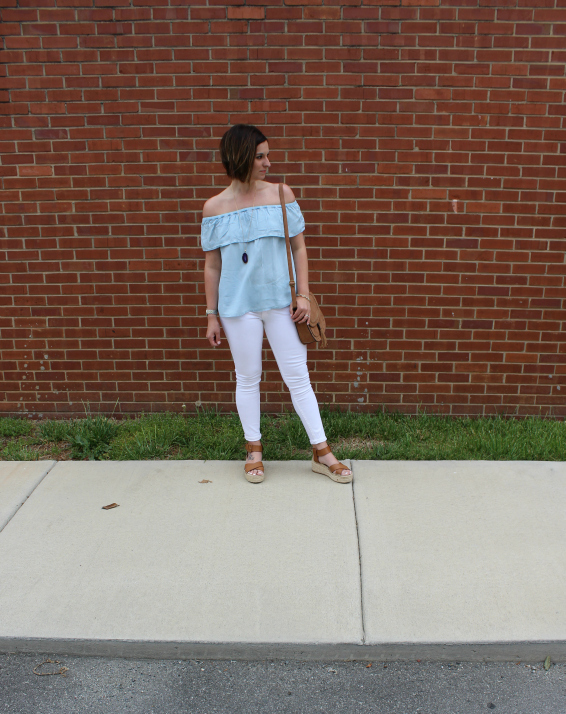 Remember how I shared the tip for choosing a statement piece? 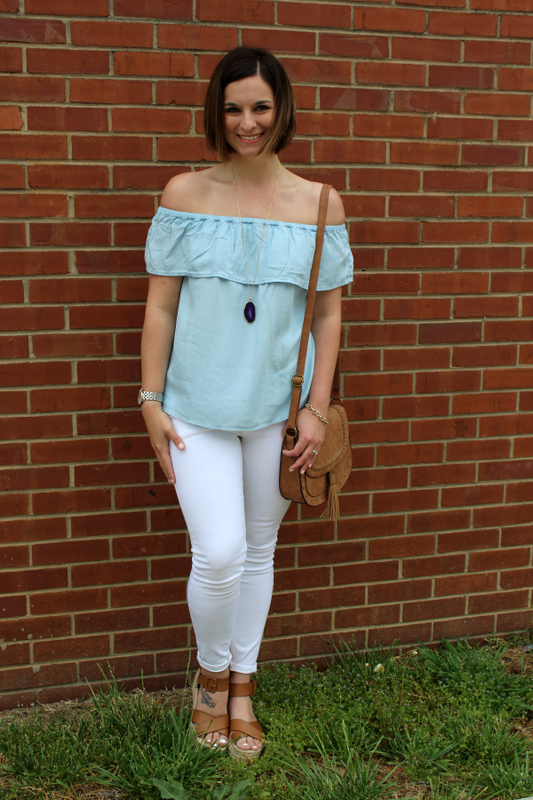 Well, this outfit was completely planned around this gorgeous necklace! I wanted it to stand out so my bag + shoes are neutral. 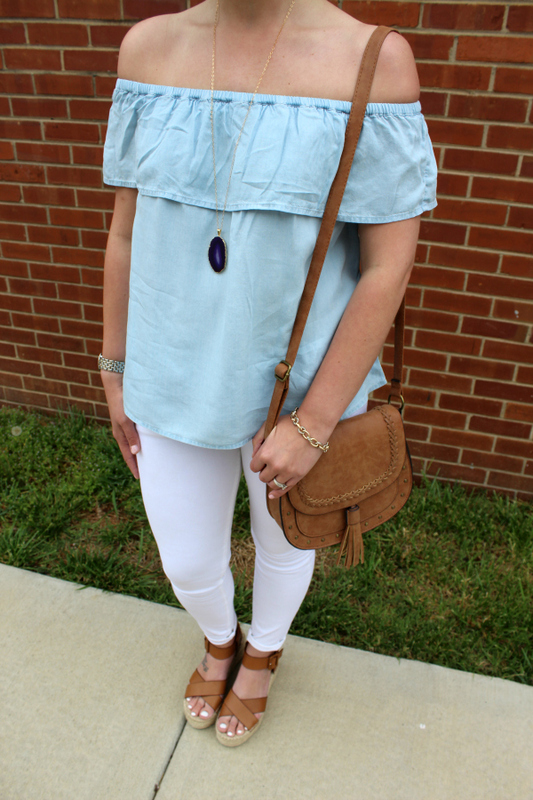 I also kept the background of the necklace very soft with a light chambray top and white denim. The necklace is the star of this show! 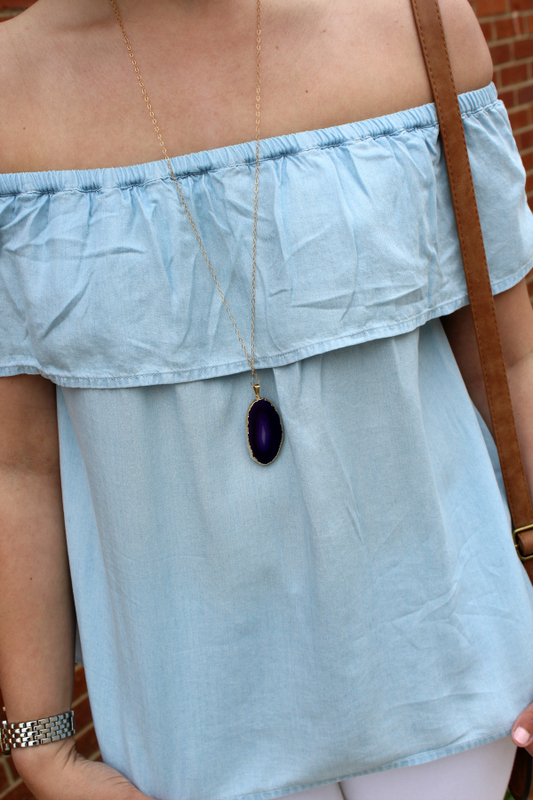 I also plan to pair this necklace with a simple light gray tee, distressed jean shorts, and sandals for an easy, fun look. How would you style this necklace? !